If you haven’t had the pleasure of watching one of HubSpot Academy's Master Classes, I highly suggest you do. On Thursday, August 24, HubSpot interviewed Eric Enge CEO of Stone Temple Consulting about all of the best practices related to optimizing SEO for video. It was an informative hour about all of the tips, tricks and tactics used by Eric and his agency about the best ways to optimize your videos for search. 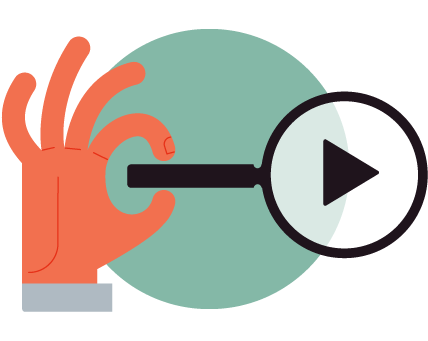 Video is becoming an increasingly valuable inbound marketing tool, so making sure your prospects can find the videos you produce is key. I will be detailing a few of the insights I gained from the Master Class and hope to offer you some advice for creating your own video content and getting it out on the web. Eric touched on a few key points, including optimization best practices for videos, the ranking factors that go into YouTube, and how to start producing your own video content and the do’s and don’ts affiliated with that. Eric also spoke to many different aspects of creating great video content and how to spread it across the web. I want to take you through each of Eric’s tips, but through the lens (pun intended) of creating your first video. So I’ll touch on how to start producing your own video content and how you should optimize your video and others that follow. Finally, as an SEO specialist, I think it's prudent for you to understand the ranking factors that YouTube uses for videos once they’re published. One of the major points that Eric brought up is the thought process before creating your video. First, you want to make sure you create video content that will be engaging and valuable. So you need to find a topic that both makes sense to your organization and is engaging to the viewer so they can comment and create dialogue with you and other viewers. I would treat the process for preparing for a video very similar to the process of preparing for a blog post. You’ll want to research the topic inside and out, spend some serious time researching keywords and all other content related to that topic, and think about how you can entice people to watch your video and engage with it. These tasks are easier said than done, of course. Once you’ve found your topic, it’s time to write that script. You want to know what you’re going to say before you start recording as opposed to just talking to the camera and editing afterwards. So write a script like a blog post, making it easy to follow and understand, and include plenty of insight as you can without spending 10 minutes talking about it. Aim for short, sweet, informative and to the point. For recording, you don’t need a top-notch camera. But recording on your iPhone may not be the best idea, either. For your first video, a decent camera can do the trick, but you will need some type of audio capturing device such as a microphone, so you can capture sound effectively. Eric touched on audio quality being more important than video quality. People will forgive you for less than perfect video quality, but if they can’t hear what you have to say in your video they’ll leave quickly. You should also invest in a tripod. You may have hands as steady as a surgeon's, but a decent tripod costs less than $50 and will make the entire video experience easier and better looking. So now that you have your topic researched, an easy-to-follow script written, and your video recorded, it’s time to edit and optimize. Eric recommended spending a good one or two hours on this so you can make sure that your video is well-optimized and can start gaining traffic as soon as possible. You have your keyword already, so optimizing your title should be pretty easy. Creating the description is important. You should come up with a description of at least 200 words to make sure the audience can understand what the video is about and give them a summary of what they can learn. Tag usage is important as well. Make sure you target specific tags that align with your video content and are relevant. A quick tip is to look at other videos that are similar to your topic and use the same tags. Remember, if you're going to post your video on YouTube and on your website as a blog post, keep in mind how you title both of them. Eric recommends having a different title tag for the video on YouTube and the blog post. That way, you have a better chance of getting in front of your prospective viewers. Essentially, you should treat your video optimization just like optimizing a blog post: make it as enticing as possible, but also align it with your content to promote engagement afterward. Now that you know how to create videos, you should have a basic understanding of how your videos will rank and understand some ways to increase your chance of videos ranking in the future. For YouTube, whatever keeps people viewing more and more videos is key. YouTube’s ranking factors include the length of time spent watching and where they navigated after watching. The longer the sessions are that you create for your viewers, the better your videos will rank for YouTube. Makes sense, doesn’t it? The longer you can keep people watching, the more ads YouTube can show to your viewers. So create playlists of similar video topics to keep people engaged and moving through your content. Let's go over the main takeaways: Create videos that answer questions, add value to the viewer’s experience and entice them to watch more and more videos. If you do this correctly, you can expect your video's rank to shoot to the top and watch the views come pouring in. If you want to watch the full video of Eric's interview, head over to this link. How has your company been using video? Where have you seen the most success? Comment below or reach out to us on social media with any of your tips!